LAKELAND, FL – The historic Publix anchored retail center, Southgate Shopping Center in Lakeland, Florida, renews the 22,022 SF lease for Office Depot. 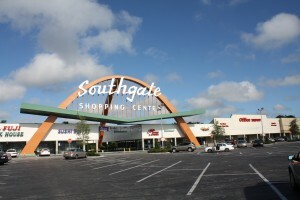 Located on South Florida Avenue, the iconic design has exceptional curb appeal and includes notable tenants such as Ace Hardware, Five Guys and Grow Financial Credit Union. In addition, Craig completed a lease agreement with AT&T Wireless. The tenant signed a five year lease for the 2,328 SF freestanding building, located adjacent to the Southgate Shopping Center. Katterfield represented the landlord and worked with Sue Haskel of Haskel Realty Group, who represented the tenant. About Crossman & Company Crossman & Company was founded in 1990 and is a regional shopping center brokerage firm, which represents over 200 shopping centers in Florida, Georgia, Alabama, Tennessee, South Carolina and North Carolina. We have offices in Atlanta, Boca Raton and Orlando. For more information, visit the company’s website: www.crossmanco.com.